Indispensable, infuriating, and inspiring, Roots masterfully finds the hope and humanity in its heartbreaking, harrowing depiction of slavery, and in doing so provides an update worthy of the original. 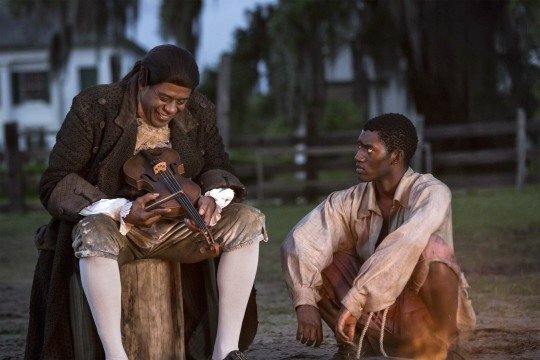 All four nights of “Roots” were made available prior to broadcast. When it first unfolded across viewers’ screens in 1977, Roots dug deep, reaching into 85 percent of American households over the course of its run and radically redefining “event” television with its gripping, grim saga of an American slave. There’s no escaping or denying the miniseries’ impact; its ratings, and ensuing discussion around its thorny subject matter brought this nation’s greatest shame out of the shadows. At a time when many shied away from or deflected the realities of slavery, buoyed by cutesy notions of slaves as cheery servants that Hollywood and even some textbooks perpetuated, Roots laid bare its true horrors, presenting a portrait of systematic oppression, dehumanization, and exploitation so achingly visceral – and dramatically compelling – that it forced general audiences to engage, some for the first time, with the gaping, gruesome wound at the heart of American racial politics. And yet, for all its potency and profundity in the ’70s, Roots has aged in the same manner as a great many series from that decade. Its makeup looks dated, its writing over-the-top (especially when it came to the histrionic slave masters and Ed Asner’s morally conflicted slave-ship captain), and its pacing in places clumsy. So when the cable History network announced that it would be remaking the miniseries (it kicks off tonight and airs on four consecutive nights across History, Lifetime and A&E) for modern audiences, the easy answer as to why skewed more technical than narrative. Camerawork, special effects, and costume design are just three fields that have taken leaps and bounds forward since the original broadcast – and for modern audiences, regularly treated to television worthy of the term “cinematic,” the visual limitations of the first Roots might serve to deprive the series of some resonance. Given that, why wouldn’t those behind Roots serve to update it and echo its story? Simply put, Roots is our nation’s history, presented through the eyes of those who suffered most by the hand of American societies past. It may well be the American story; it’s certainly the one most critical to understanding the state of affairs across this country and the bloody, brutal divisions that still fracture and weaken it today. And if this year, in which blatantly racist politicians edge closer to the White House and hand-held video technology has helped to expose the ugliness of racism present in law enforcement, is any indication, Roots is a story we cannot afford to stop retelling. It matters as much today as it did back then. The new series understands the importance of its message, and it shoulders that burden with astonishing dexterity and surprising vivacity. Roots as remade for the modern era tells very much the same story as the original, focusing on the harrowing plight of Mandinka warrior Kunta Kinte (played here with fleet-footed grace and devastating pathos by the Emmy-worthy Malachi Kirby) and his descendants as they’re pressed into slavery and struggle to maintain the vestiges of their culture in the face of unimaginable cruelty. It still shifts between generations too (and, at the same time, directors), starting in Africa and traveling all the way to the American Civil War, which gets more screen time this time around than it did in the original. And its messages of family, heritage, independence, and human morality still start strong but build to an even mightier climax, gathering such force by the series’ final hours that, by the time the final credits roll, you’ll be too floored to move from your seat. And yet, there’s new material in the mix as well. The Mandinkan culture of Kunta Kinte’s people is painted with a much richer, more colorful brush, re-envisioned as a cultural goldmine, rife with conflicting, sometimes acrimonious tribes and a host of commercial trade routes. The shameful brutality of certain Civil War battles, particularly the Battle of Fort Pillow, is also translated faithfully. 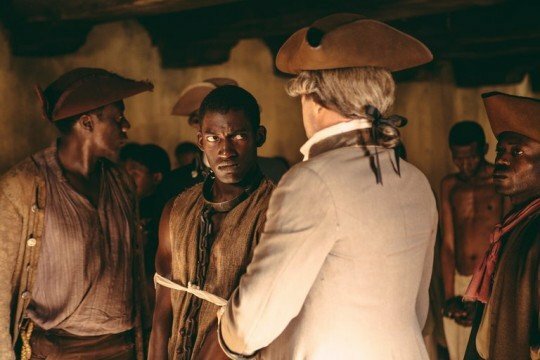 Overall, the new Roots is a grittier, more visually brutal animal, filled with moments of stomach-churningly graphic violence (the iconic whipping scene in which a defiant Kunta Kinte is lashed until he brokenly accepts his slave name, Toby, is appropriately searing and immediately unforgettable) directed mostly at slaves but also occasionally at their monstrous masters, finally getting what’s coming to them. The remake is also bristling with moments of supreme topicality – in one gut-punch of a moment, a fleeing slave is gunned down, and the scene’s execution very intentionally recalls the unflinching brutality of comparable police shootings of young, black men. Themes of cultural identity are packaged with undercurrents of classism and intersectionality in a way the original never quite focused on, but which feel inarguably relevant to the here and now. There’s no escaping that Roots is extraordinarily solemn as entertainment. That’s as it should be, and the new series never sacrifices any of its momentous weight in pursuit of being more palatable to general audiences. And yet, credit must be given to the remake’s creative minds (including Mark Wolper, son of the original’s producer David L. Wolper, and LeVar Burton, who originated the role of Kunta Kinte) for threading their revisitation of the greatest American horror story with humor, heart, and unadulterated joy. The series is alive to the enduring beauty of the human spirit, and the spirit of a people, burning bright even under the darkest and most deplorable of circumstances. That inextinguishable hope, and the perpetual celebration of black identity it represents, makes Roots not just an indispensable series for our times but a mightily cathartic one in its willingness to both address slavery without growing depressed by its overwhelming terrors and posit a way forward into the uncertain future of American race relations, guided by the twin lights of human tenacity and consummate compassion.